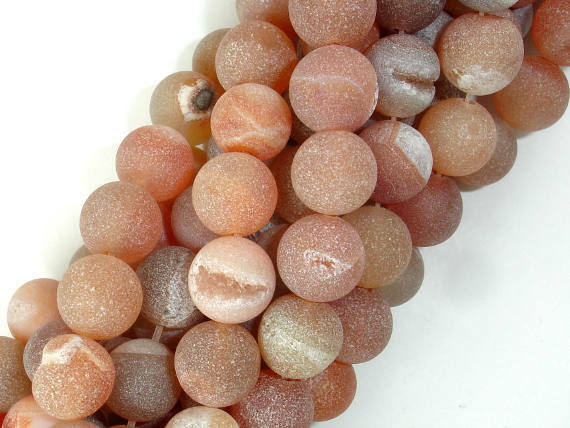 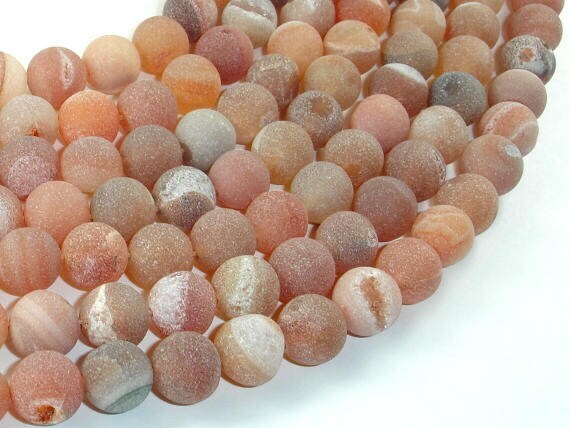 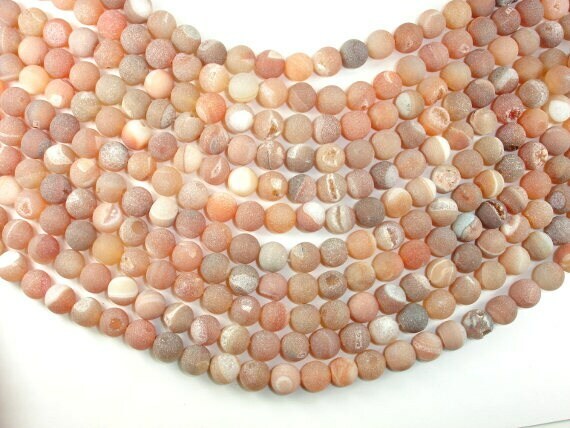 The beads feature a matte peach orange color with crystal inclusions occupying the openings or surfaces of some of the beads. 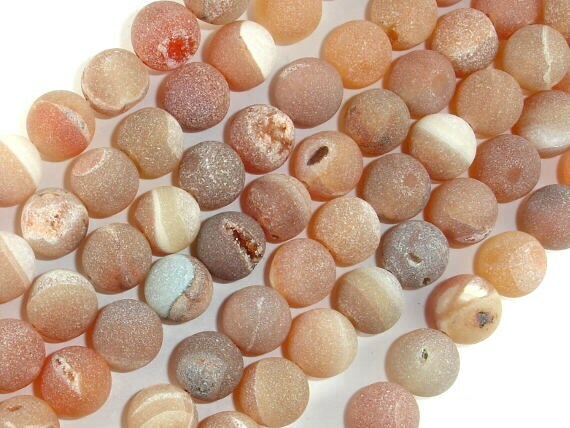 Those are absolutly wonderful ! 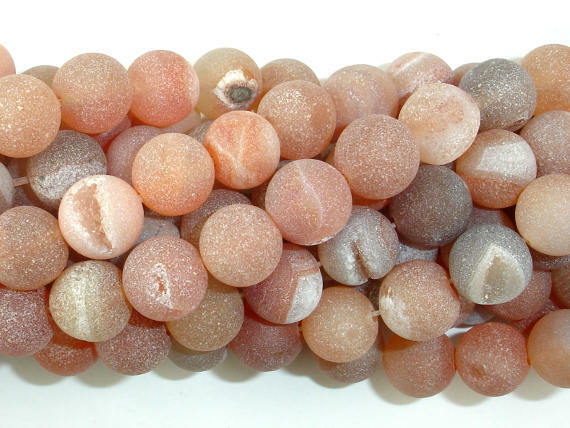 Amazing geode inside them !